What’s in store for television in the year 2019 - will Netflix be able to keep up with the scale of production they’ve recently established? We are yet to find out. However, one thing is for certain, this year we are to experience repository for bold ideas and innovative storytelling, with major creative forces. While cherishing the limited time of our dear series, we are to embrace new onscreen shows we hope last for decades. With no shortage of TV shows coming in 2019, here are some of the most anticipated TV series this year. This eight-part limited series charts the evolution of one of the musical theater’s most legendary artistic partnerships Fosse/Verdon. It taps into the vibrant current of electrical on-screen performance sequences. Focusing on big worlds and even bigger personalities, the show is sure to be the next in a long line of prestigious projects. Disney is pushing its new upcoming streaming service hard with the announcement of this upcoming live-action series set in the “Star Wars” universe. Both written and produced by Favreau the series is set three years after “Return of the Jedi” but before the rise of the First Order. The 10-part drama follows a lone gunfighter from Mandalor, known as a multi-species world full of warriors, mercenaries, and bounty hunters living away from the authority of the New Republic. Based on Alan Moore’s graphic novel “Watchmen” the HBO drama reshapes the superhero narrative still set in an alternate history where caped crusaders are outlaws. Lindelof will be putting his own spin on the story, rather than ripping plot strictly from the comic pages resulting in increased hype about the story of the series. Since the season 2 of Big Little Lies didn’t drop in 2018, after all, there is even more intrigue around the follow-up to the awards-magnet first season of the drama based on Liane Moriarty’s novel of the same name. This time around, the show will be a brand new story, from Moriarty and David E. Kelley, seeing the returns of stars Nicole Kidman, Reese Witherspoon, Laura Dern, and Shailene Woodley — with the addition of Meryl Streep. The first project created for Amazon by Neil Gaiman is a six-part streaming series based on the 1990 novel co-written with Terry Pratchett. The genre-bending series starring David Tennant and Michael Sheen as a demon and an angel, respectively, working together to try to stop the apocalypse is garnering a lot of attention from the audiences. This adaptation of Gerard Way’s Eisner-winning comic book series to Netflix rapidly fills the superhero space left by Marvel. The story begins in 1989, when 43 women who didn’t start out the day as pregnant, suddenly give birth to children. Billionaire industrialist Sir Reginald Hargreeves adopts six of these children to raise them in his Umbrella Academy in hopes for them to grow up to save the world. Fast-forward 30 something years later, when the long-estranged adoptees reunite to uncover the mystery of their father’s untimely death while also tapping into their unusual abilities to prevent a global apocalypse. The 2014 mockumentary adaptation featuring a trio of vampires who have been around for hundreds of years, balances comedic moments of them still struggling to adapt to life with the darker reality of their blood-thirsty urges. The film has a cult following, but Clement and Waititi are not set to star in the series version, so some of the intrigues come from the unknown aspects. The half-hour comedy thrives on lovingly teasing the very creatures that caused so much fear, more recently, so much youthful lust in audiences, making for an ideal reframing of classic characters. The Showtime series, “Black Monday” takes audiences back to October 19, 1987, the worst single day stock market crash in history also known as Black Monday and follows an eclectic, enterprising group of Wall Street outsiders who take on the good-old-boys club, and end up crashing the world’s largest financial system. Netflix’s Stranger Things season three was a dead certain even before the second season dropped to widespread hysteria in October 2017, and the company made it official late last year. Since then the viewers are patiently waiting for the upcoming release. 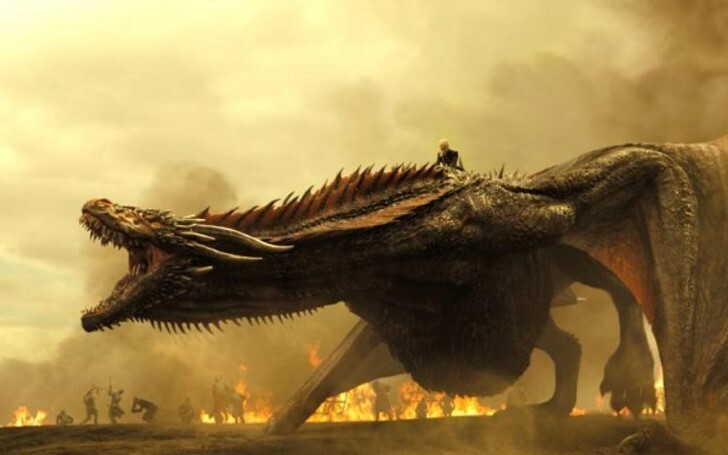 Who knows what will winter bring for the Starks, Lannisters, and Targaryens but the hype for the release of the last season of Game of Thrones definitely makes it the most awaited tv series of 2019. With just a few months left for the release of the final season of Game of Thrones, the curiosity regarding who will sit on the iron throne is substantially increasing. With new as well as old TV shows releasing, 2019 is sure to be yet another year for a great watch.